Liem s Paphiopedilum, scientific name Paphiopedilum liemianum - is a popular lady slipper orchid with orchid fanciers. The orchid is very close to extinction in the wild due to over collecting. The orchid is only found in a very small area in northern Sumatra, Indonesia. 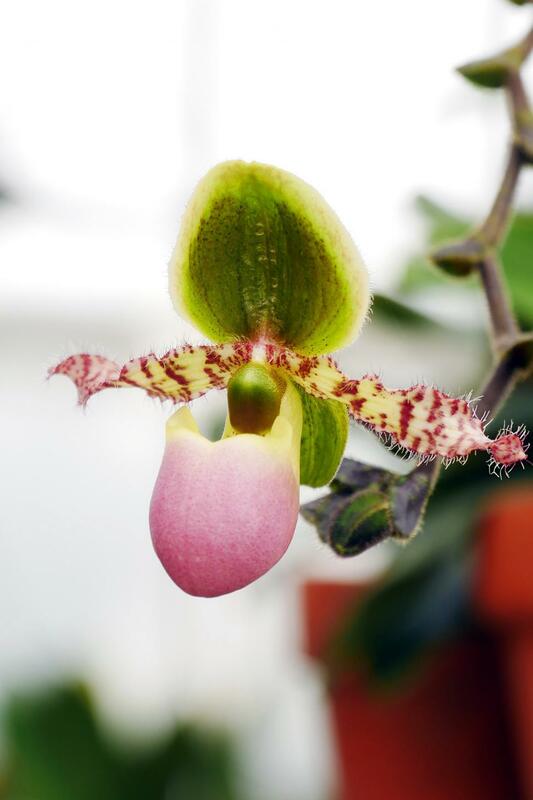 This image of the Paphiopedilum Liemianum orchid flower was taken in the Orchid House at Duke Farms in Hillsborough New Jersey.